This book is about Square. Square spends every day taking blocks from a pile below the ground to a pile above the ground. This book is also about Square’s friend Circle. Circle thinks Square is an artistic genius. But is he really? With the second story in a trilogy of tales about Triangle, Square, and Circle, Mac Barnett and Jon Klassen nudge readers toward a more well-rounded way of looking at things. Understated and striking in its simplicity, this funny, thoughtful offering from two of today’s most talented picture-book creators emphasizes the importance of keeping your eyes — and your mind — open to wonder where others see only rubble and rocks. The beguiling second entry in the innovative shape trilogy by multi-award-winning, New York Times best-selling duo Mac Barnett and Jon Klassen. 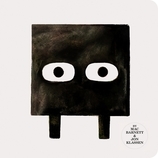 40 / 9" x 9"
Mac Barnett is the author of numerous books for children, including four illustrated by Jon Klassen: The Wolf, the Duck, and the Mouse; Triangle; Sam and Dave Dig a Hole, winner of the E. B. White Read Aloud Award; and Extra Yarn, which won a Caldecott Honor and a Boston Globe–Horn Book Award. Mac Barnett lives in California. Jon Klassen is the author-illustrator of I Want My Hat Back, a Theodor Seuss Geisel Honor Book; This Is Not My Hat, winner of the Caldecott Medal and the Kate Greenaway Medal; and We Found a Hat. He is also the illustrator of two Caldecott Honor books, Sam and Dave Dig a Hole and Extra Yarn, both written by Mac Barnett. Jon Klassen lives in Los Angeles.